David Rudisha aims to lower the world-leading time to 1:43 or quicker over two laps of the track when he returns to racing at the Sainsbury’s Glasgow Grand Prix, an IAAF Diamond League meeting, at Hampden Park on Saturday (12). 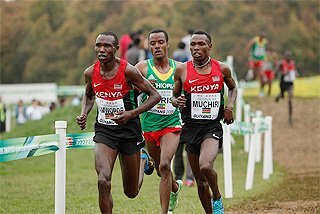 The 25-year-old Kenyan admitted today that he’s had a tough 12 months recovering from the knee injury that cut short his 2013 campaign but claimed that after a few weeks of hard training in Kenya he is close to the kind of shape that brought him world and Olympic titles and three world records between 2010 and 2012. Rudisha’s appearance in the penultimate event of the two-day Glasgow IAAF Diamond League on Saturday afternoon will be his first competitive outing since he won in New York a month ago. Having finished seventh in Eugene at the end of May, Rudisha clocked a season’s best of 1:44.63 in New York’s Icahn Stadium two weeks later while top of the 2014 list for the men’s 800m is 1:43.34 which his compatriot Asbel Kiprop ran in Paris last Saturday. “It has been tough year coming back from an injury and I am trying to do my best to get back to top form,” he said. “I had two races so far this year, both in America, and I think I’ll be improving on those here. 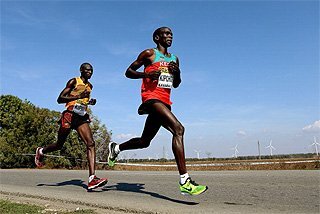 The race will be Rudisha’s first on UK soil since the 2012 Olympic final, when he became the first man to complete two laps quicker than 1:41. 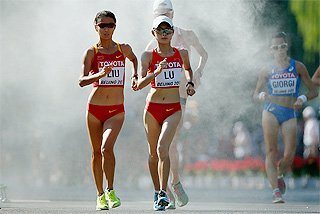 “If you see my previous races this year, even in Eugene, even though I was not in top shape, I didn’t want to change my running tactics. I want to maintain that because I know in time and with good training I will get there, so I am going to keep running from the front. Victory on Saturday will put Rudisha at the top of the Diamond Race standings, but he is focused on adding a Commonwealth Games title to his gold medal collection when he returns to Hampden Park in a few weeks' time. It’s a different story for Yohan Blake, another 2012 star who missed much of the 2013 season through injury. The Jamaican sprinter has decided to skip the Commonwealth Games to focus on returning to the kind of form that made him the second-fastest 100m man in history behind Usain Bolt and win 100m and 200m silvers at the London Olympics. Blake’s season’s best of 10.02 is some way short of his 9.69 PB, and he was only sixth over 200m in Lausanne last week, but the self-styled ‘Beast’ of the track claimed that his training indicates that fast times are just around the corner. “I’ve been really good in training but I haven’t raced a lot this year,” said Blake. “I figure I’m in good enough shape now to compete at the highest level. “It’s hard to tell how close I am to top form. I just want to go out there, stay relaxed and have some fun. I need to just keep it simple. 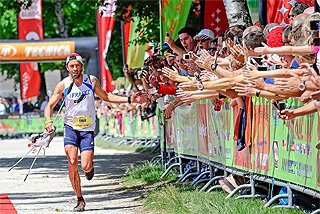 Injury free is always good, but I just want to execute my race. 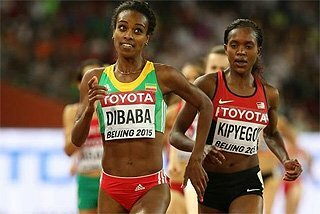 “There are a lot of people looking at my times, but I’m not looking at times because when I execute my race that will come. From my training I’ve seen what I can do. “Really what will make me happy is just to get back into a winning mode and start feeling good. “Anything is possible when we have good conditions but we’ll have to see what happens on the day. 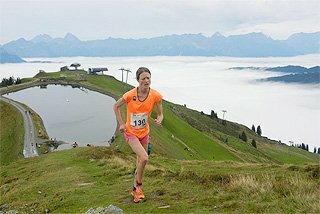 It’s not hard to run sub-10. Once I get my footing right it will come. Blake admitted that being the world’s second-fastest man does come with a weight of expectations, which are not always welcome when you’re performing below-par. 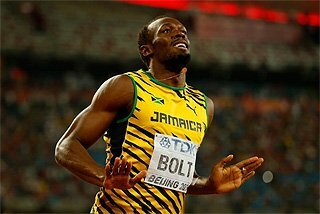 “When you are the second-fastest man on the planet there is a lot on your shoulders,” he said. “People always want you to be at your best and to see a good performance, but sometimes you have to fight to get back up. “I need to get back that explosiveness. I am confident that it is there, but I just need to get the feeling back. Shelly-Ann Fraser-Pryce is another Jamaican sprinter looking to get the old feeling back, to find her rhythm, as she put it. 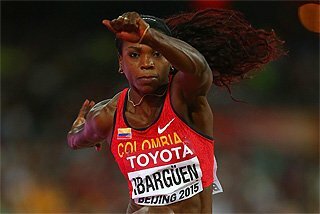 Like Rudisha and Blake, she has been struggling to overcome an injury since winning the world indoor 60m title in Sopot in March, enduring what she called today a “rough” couple of months on the circuit. 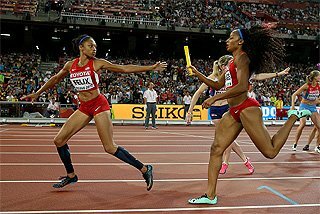 Having originally entered the 200m, Fraser-Pryce has chosen instead to race the 100m in Glasgow, a non-Diamond League event in which she’ll face former world champion Carmelita Jeter, world silver medallist Murielle Ahoure and world leader Michelle-Lee Ahye. “It’s only my second 100m of the season (actually her fourth) so I just want to see where I am,” said Fraser-Pryce. “The last couple of months has definitely been rough coming back from injury, so I just want to be sure that I’m doing the right things, testing the waters and getting my rhythm back. Winning a Diamond Trophy for a third year in a row remains an important motivation. 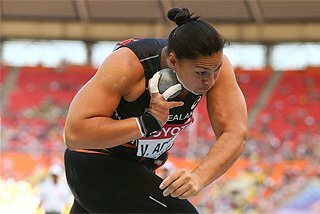 “It’s unfortunate that the year didn’t work out the way I wanted it to, but I’m still second in the 100m (Diamond) Race,” she said. “I still have a chance. If tomorrow goes very well and everything is back to normal then that could start my bid to win again this time. Who knows? “I still have to get myself into that rhythm because I had an injury coming into the season. It was something I couldn’t control. But at the same time I can’t beat myself up thinking I need to win the Diamond League. 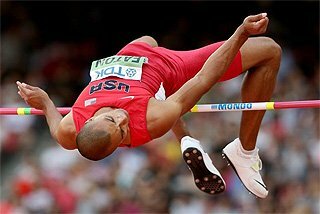 Winning the Diamond Race has never been part of Ashton Eaton’s plans, although the world and Olympic decathlon champion’s presence on the international circuit as a 400m hurdler has still been a source of considerable interest. If nothing else, Eaton has proved what a multi-talented athlete he is. 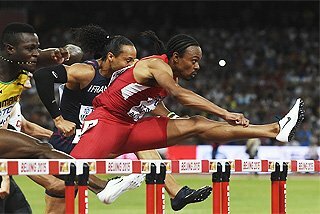 Not only has he beaten some of the world’s best specialist one-lap hurdlers, but he has clocked 48.94. “It’s been fun to attempt the event and to compete against the great athletes,” said Eaton today. “I never thought I would compete at this level. It was basically something that was just for training and to take my mind off the multi-events. I’ve accomplished those goals and in the process been able to run fast and compete well. His last competitive outing this season could be in the long jump at the London Anniversary Games on 20 July. “I think I’ll finish the season there because the next three years are going to be tough,” he said. Not that Eaton is entirely done with new events. “I’d love to try the triple jump,” he added. “I just don’t have the time, and I don’t have the greatest knees. There are a lot of events that are appealing. I think that’s why I’m a decathlete because I have a genuine curiosity about all the events. I just like to test them out.